This year is all about prints, prints, and more prints! Brides are choosing prints like chevron, polka dots, and stripes to be their wedding theme. 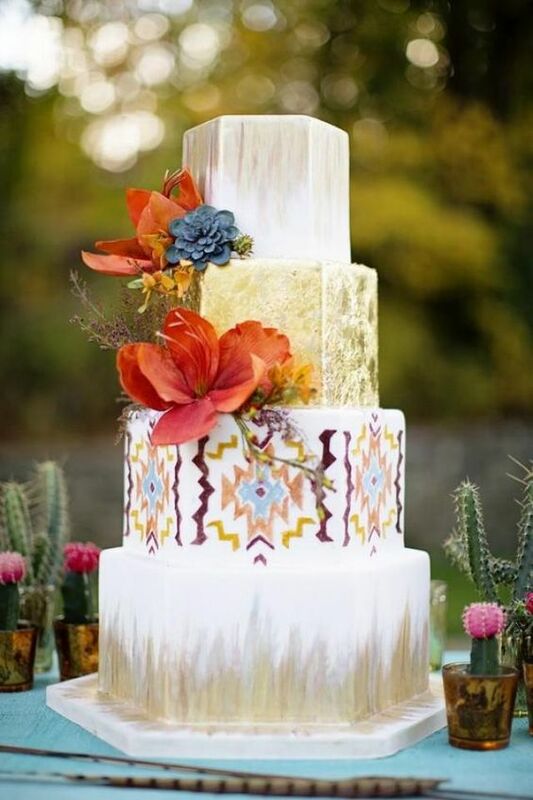 Some of the more unique prints are Aztec and Ikat prints that are great inspiration for a Southwest themed wedding. Just looking at the colors in these unique prints can be the foundation for your wedding colors and decor. If you love the bold colors, have a bohemian style and love unique prints then a Southwest wedding might be a perfect wedding theme for you! Invitations are a great way to introduce your guests to your theme so these Aztec inspired invitations are perfect for a Southwest wedding! To stay with the theme of the wedding the bride has to compliment her own wedding theme. 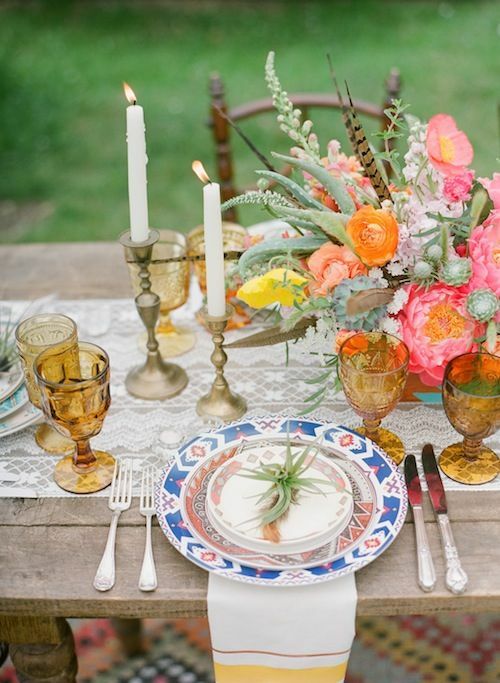 As a bride, consider a bohemian look and style to best match this theme. I love this bride’s feather earrings and belt. I think this Aztec inspired ceremony background is so unique and graphic! 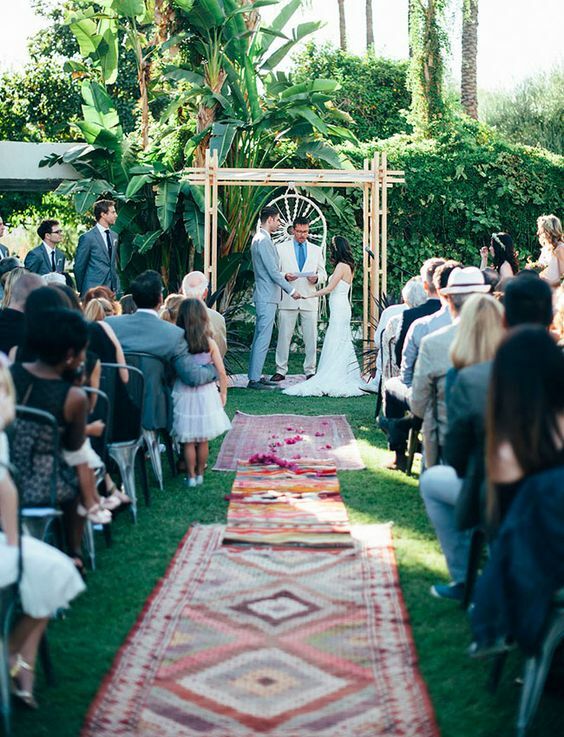 Plus this couple used southwest rugs for guests to sit on at the ceremony instead of chairs. For the flowers, use plants like cactus and succulents that are naturally found in the Southwest. Succulents look beautiful in bouquets and make great boutonnieres. 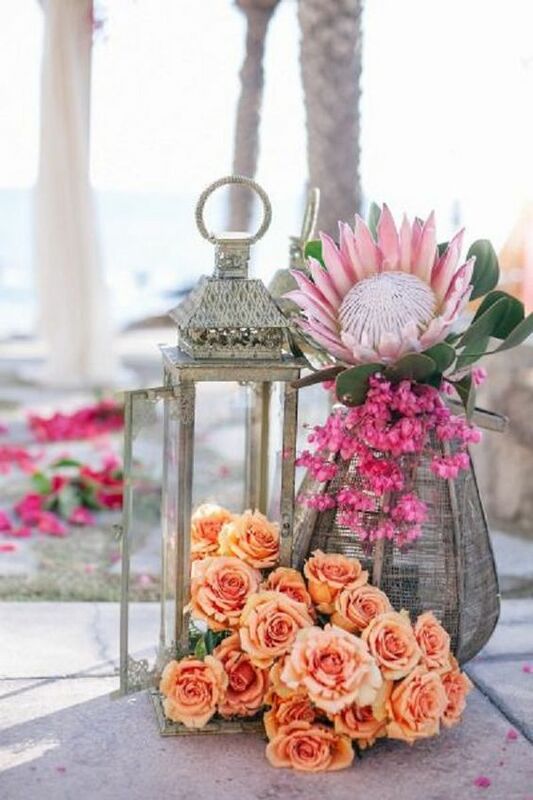 Cactus’s in containers make great decor and can double as favors for guests. 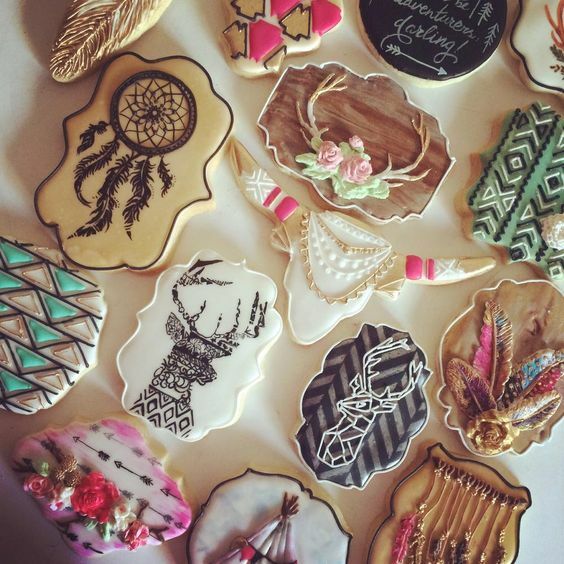 Or small dream catchers are such a cute favor to match a Southwest Aztec theme! 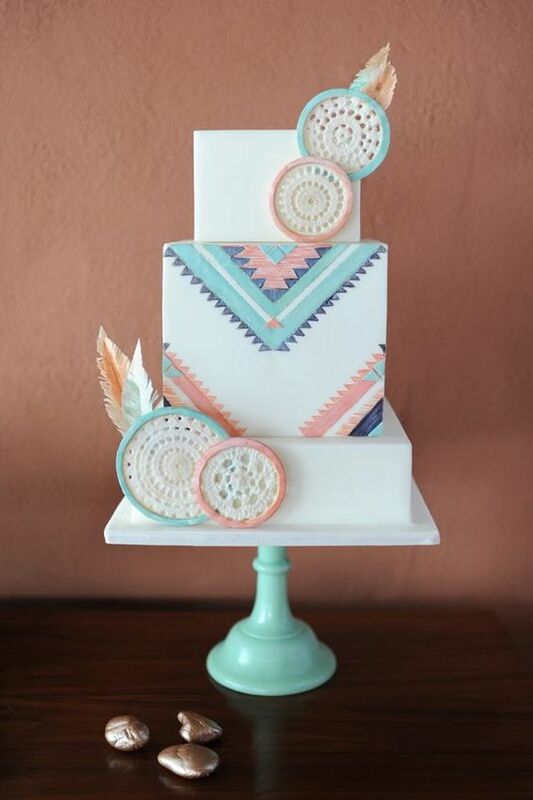 And of course you can’t forget about the cake and using the aztec print to decorate the cake! 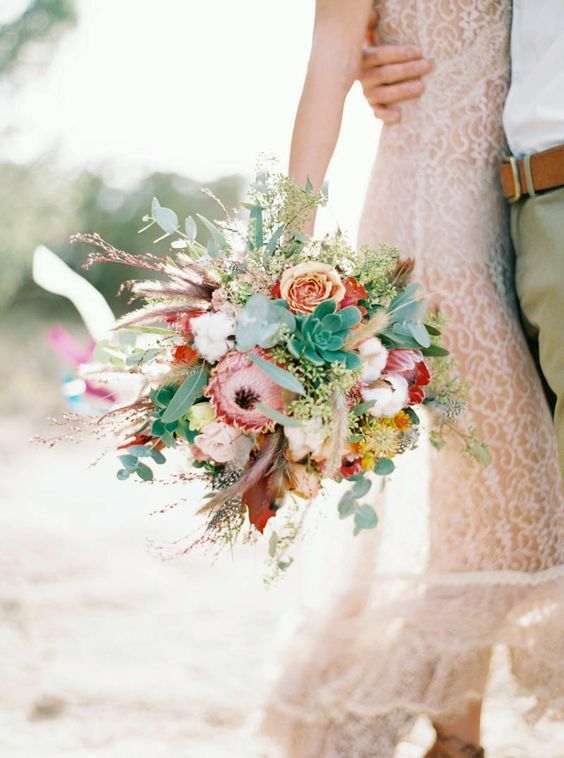 What do you think about this Southwest style wedding?